December 2016 Mr. Hendrickson was given a Pony Award at school. Each teacher can recommend only two students and Hendrickson was selected by his US Studies teacher for his excellent academic performance and for exhibiting character & compassion by frequently going out of his way to help and encourage a special needs classmate. 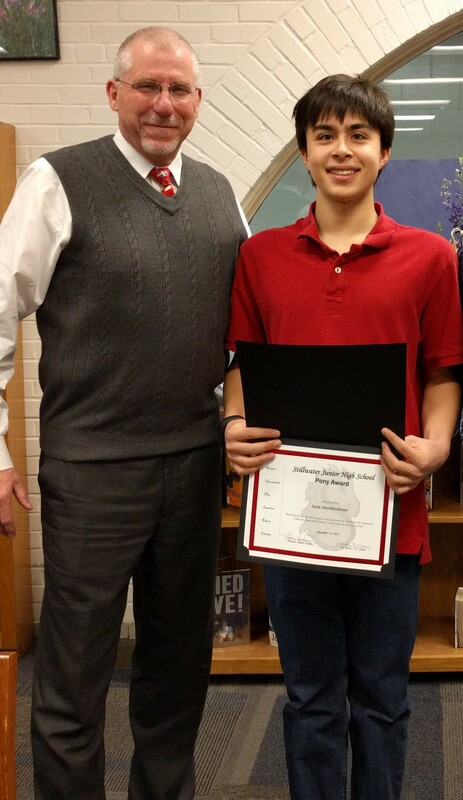 Recently Mr. Hendrickson received an invitation to join the National Junior Honor Society as well.